Summer's here, which means it's time to actually venture outside and take advantage of the (relatively) warm weather. 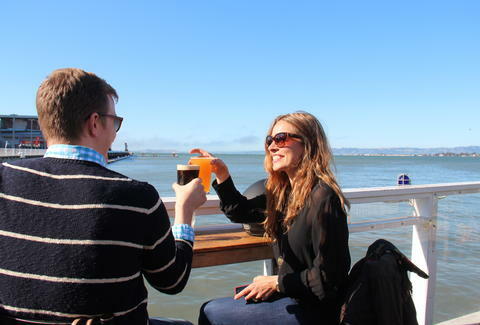 And to help you with that, we've assembled all the best outdoor drinking spots in the city and power-ranked them 7-to-1. Check out the rankings, call up your buds, and grab some weekend suds in the sun... until it goes down, at which point you hopefully have a jacket. 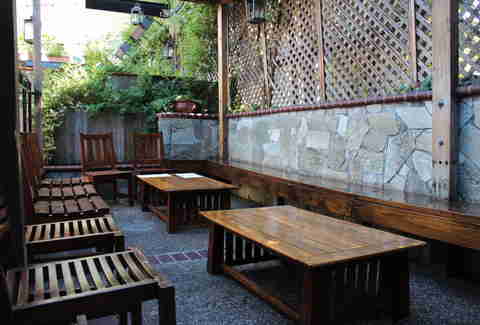 Kicking off the rankings, this old-school San Francisco spot looks like it’s gonna be a tiny hole-in-the-wall, but is actually boasting a pretty huge patio out back with a view of the bay. Bring your thermal. 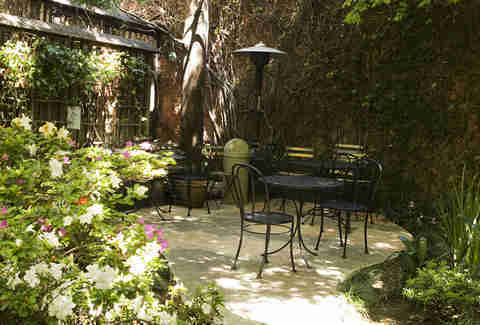 The little sister to Absinthe, this Hayes Valley work spot adjoins a wine bar and has a giant outdoor area that’s a great place to throw back a few daytime beers, or -- if you're actually using it as a work spot -- a few daytime ginger beers. 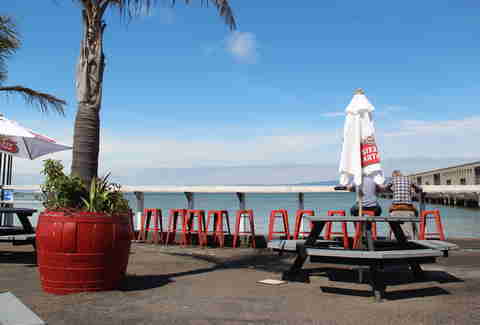 This Marina mainstay has a patio that starts at brunch and just doesn’t quit. It can get pretty crowded, but if you grab a table, you’re golden and don’t have to explain why you’re holding a Strawberry Fields. 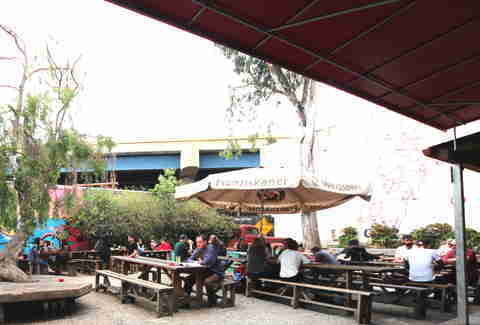 Get your surly outdoor Mission beer garden on here. Make sure to bring cash and ditch anything you might be judged for (polos, yoga pants, khakis, clothing that isn’t black and/or torn), then get ready to be pressed up against a bunch of Mission-ites with questionable grooming habits... with beer! 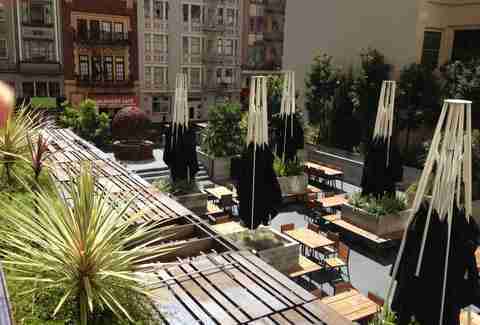 Even though you enter at street level, thanks to the craziness of SF hills, you will see that this is mostly a rooftop bar with at least four service points (one’s up on a terrace they open up for larger parties), plus they host fun events like movie nights and "technology detox". 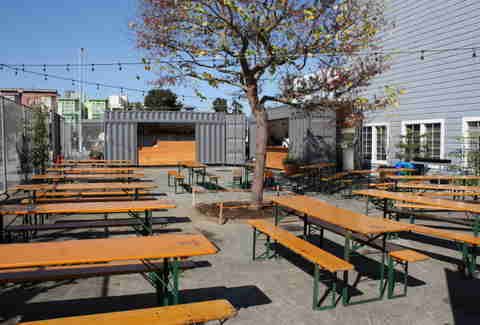 If it’s nice outside, or even above 60, or 58, BUT NOT FIFTY SEVEN, you should show up early to Hayes Valley's traditional German beer garden and grab a spot while your friend gets you liter-sized steins and wieners (tee hee) to while away the hours 'til sundown, when you can grab a complimentary blanket to keep you warm/ridiculous-looking. 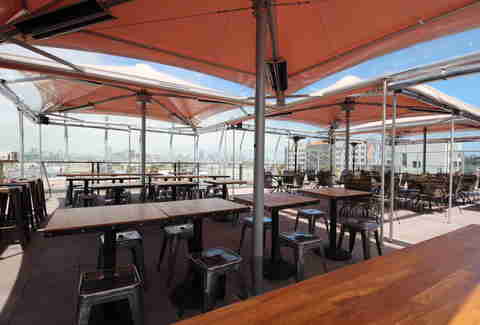 Topping out the list, El Techo has it all: rooftop partying, skewers of meat, specialty cocktails, Latin beers on tap, gorgeous views of the city, and clear wind shields to keep you actually warm at night. Go here.